Villa Moonlight was made during the summer season of 2018 and is ready to accommodate its first guests. The villa is a detached with a private pool on 600m2 of land, with a rooftop floor and a 206 m2 usage area. It has five bedrooms and can sleep 10 people. 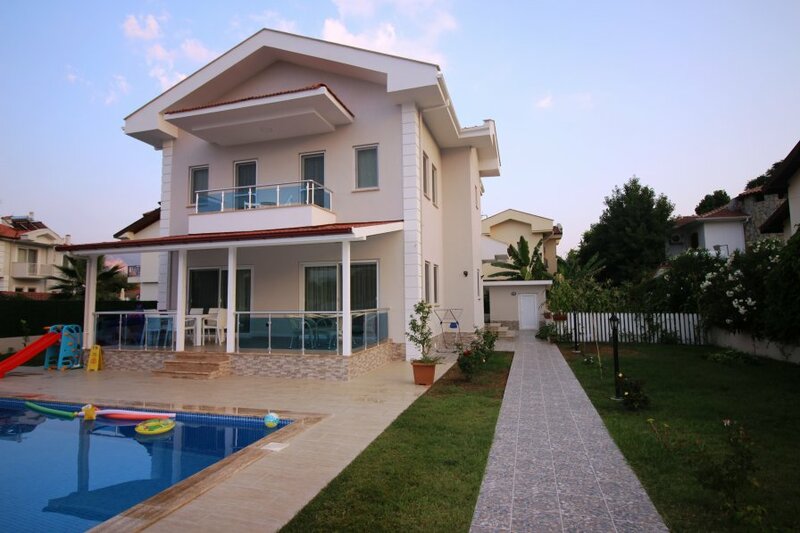 Villa Moonlight is located in Dalyan's most decent neighbourhood Gülpınar. The market is just 100m away, a restaurant at 120m and a shopping centre 750m. Public transport at 700m. Dalyan Channel and the city centre 500m. This is a centrally located, modern holiday villa with a spacious garden. The private pool is 45m2 and is 1.60m deep. The garden has a barbecue, a swing. The lounge has a seating area, dining table, fireplace, air conditioning, an open kitchen and a large-screen TV. The hall is 50m2. On the ground floor are double bedrooms, bathroom-WC, garment room, 3 bedrooms on the second floor, both have air conditioning in their own bathroom-WC. There is also another bathroom with WC. There are two single bedrooms and a bathroom-WC on the rooftop. In the highly modern kitchen, you will use the finest products of the finest brands. All kitchen utensils and service supplies are available from the refrigerator to the microwave. There is also a digital steel case.